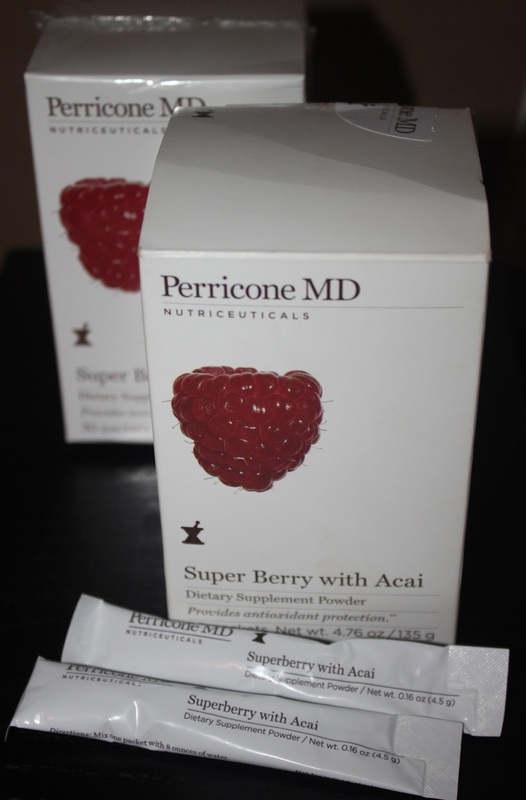 I mentioned a few weeks back I had bought the Perricone MD Acai Berry antioxidant supplement. I am a few days shy of finishing my months supply and I have already purchased a replacement box. It is very hard to judge a product that works in the ‘back rooms’ as it were. Helps combats the signs of premature aging. Promotes both cardiovascular and digestive tract health. Well, as you can see it is hard to say definitely that it is working. But, since using it my skin has a wonderful glow to it. I have added the Perricone MD Wrinkle serum ( to review soon) to my morning regime during the same period. The combination of both seems to have perked my skin up. “The proof is in the pudding”, so the saying goes, and I can only say that my skin looks healthier. I have used various other supplements and other Perricone supplements, but I can say I have seen results with the Super Berry one in particular. I think as with all natural supplements full results only ‘arrive’ in 2-3 months. It comes in travel friendly single dose sachets. I drink it with about 500ml of water in the early part of the morning. Make sure to stir well to mix the product properly into the water. I prefer slightly chilled water for best taste. Are you a believer in supplements?